Cannabis has been legal in Canada for 6 months now and the green love is slowly spreading internationally. So much so in fact, that it’s thought to produce an over-grow of supply in some regions and they are gearing up to help us out with our supply shortage! 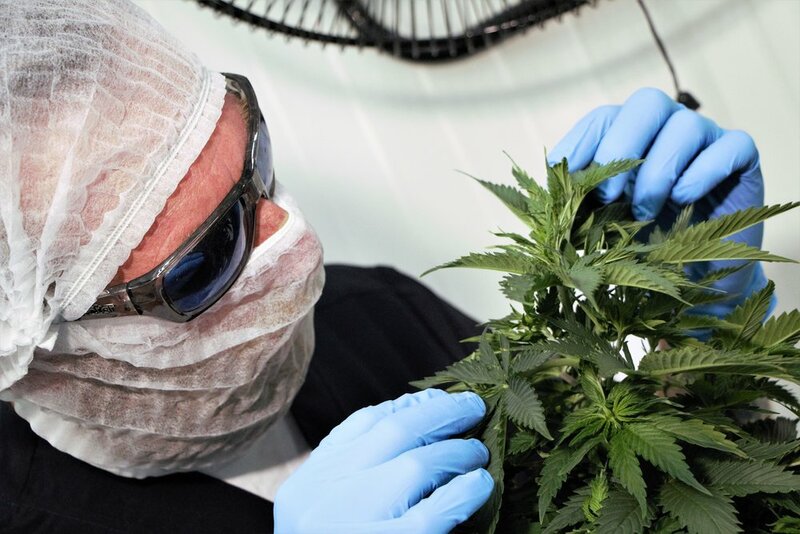 PIDEKA SAS, a Colombian company founded by Pilar Sánchez, is recognized and authorized by the Colombian government for the cultivation, production and manufacture of cannabis derivatives (such as extracts, final product, seeds) for medicinal and scientific use. PIDEKA is also the first and only indoor producer in Colombia. As the Executive Coordinator, Pilar organized and researched hundreds of individualized treatments based on the use of different aspects and components of strains, accomplished through a close follow up alongside different kinds of clinicians. She is also co-founder and leader of Mujeres Cannabicas Colombia foundation and Red Latinoaméricana de Mujeres Cannabicas. Pilar has given conferences with a genre perspective within the cannabis industry on several cannabis events around the world. We recently interviewed Pilar Sánchez to learn a bit more about the Colombian-based cultivator and their plans for a greener future. HL: Is PIDEKA the first indoor producer in Colombia? HL: How does the Colombian cannabis market benefit families in that region? PS: Pideka wants to create an employment agency with medical cannabis users’ families and possible workers in the area which we will find through cooperatives. These personnel will be educated in Pideka’s facilities so they can work in different areas of the cannabis industry. HL: What are some of the socio-economic gains for Colombia? PS: The benefits are many. One of the main benefits is that the cannabis black market won’t be kept fed; employment in the legal market will be generated, benefitting society in general and additionally eliminating the taboo surrounding cannabis, we contribute to the development of scientific, industrial and community research. HL: Has cannabis allowed for local Colombian communities to flourish? PS: Yes. It has started to clearly generate new socio-economic alternatives, revitalizing the Colombian agricultural sector perspective, and a new respected status has been given to canna-farmers. HL: What are you most excited about with this venture into the Canadian market? PS: It’s an opportunity to position cannabis derived products made in Colombia and show that we are able to produce high quality products, compliant with Canadian rigorous quality standards. HL: Why is a Canadian partnership important to you? PS: Because Canadian laws allow for the Colombian market to position itself as one of the largest cannabis suppliers in the world, generating benefits in social, economic, scientific and industrial levels. HL: What are some of the initiatives that make Pideka SAS a sustainable company? PS: Indoor cannabis cultivation is unfortunately very difficult to make sustainable. However, PIDEKA has chosen to use technology in benefit of sustainability and we hope the near future can bring a fully sustainable indoor cultivation method.